Try it before deciding one way or the other. Consider it as documentation, which it is at the start of and throughout a project. The simple truth is you can't document what you don't understand. And your understanding deepens as you add functionality to the diagram. I was a project manager it IT for over 25 years and have ALWAYS found it easiest to work with a group when they're all looking at a simplified picture of a complex problem. That simplification can be a tough job, but I've always found it to be worth the effort. If you have a series of decision trees, you could overlook the fact that a "NO" was ignored, or that you left yourself with no way out of a loop (for all of you coders out there). It's really useful for managing change and for root-cause analysis. And to (again) simplify a complex process so senior management can understand what's going on and why. "My take on ConceptDraw Pro/Diagram"
1. Minimal wide and yet highly functional drawing canvas. 2. A large host of ready made solutions for any business and industry diagram requirements. 4. Great export features including svg and eps. 2. Minor high DPI scaling on my 4k monitor. Some sections looks too tiny. 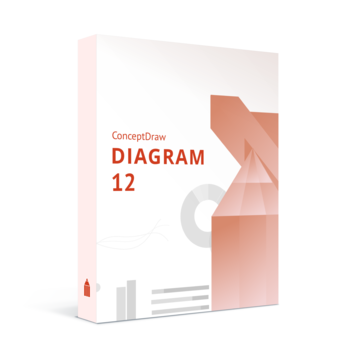 If you are looking for a fully featured technical, info-graphics diagram making solution for business, education and industry needs , Conceptdraw diagram is the answer. With its wide library of graphical elements and solutions presets, it is a complete suite like nothing else. I use the tool to make great info-graphics, flow charts for presentation, taking notes. Conceptdraw diagram along with Conceptdraw Mindmap helps me with gathering, organizing and presenting ideas and information. A great tool for cognitive learning and conveying information to others. It would be interesting to see even more integration options with MS Excel - it's possible to play with data in cells but I hope it will be more flexible soon. "Concept Draw DIAGRAM the allrounder for planning"
For both CCD is a very useful and easy to use programm. Since the last upgrade we do much more enjoy the working, as many bugs have been fixed to the workflow is much smoother. We consider the software as easy to learn and to use. All of our team members who came either from graphics or industrial design find it easy to jump in on working. We sill find it sometimes hard to work with the software as many of the common short keys are different or do not exist. As standard we see the normal short keys of mac and Adobe. For example zoom you wanna have at cmd+ "+" So sometimes the software feels a bit like a windows software. We use it for visualizing interior planning and BPMN. "ConceptDraw provides answers to every diagrammatic requirements"
- ConceptDraw Diagram consist of a large number of diagrammatic applications which support modelling requirements for different context, systems and settings. It is multi-functional, comprises multiple features, supports collaboration among teams, posses import and export capabilities and integrates with a gamut of widely used software and applications. ConceptDraw Diagrams brings all diagrammatic solutions into a portfolio in a pick and install format. This provides a sense of flexibility to switch between applications without affecting the model under construction. I have used ConceptDraw Diagram for several weeks and I am yet to identify any flaws yet. Check it out. It is excellent. A free trial period will convince you. I am a researcher exploring the use of multiple modelling standards in modelling simple to complex service systems. These include information flow, system design, life cycle costing, resource utilization, end of life activity etc. I use IDEF0 and IDEF3 frequently. "ConceptDraw Office helps MyNew Technologies"
Currently we do not have any dislikes for this suite. Because we are a 100% MacOS environment, we couldn't find another compatible product which met our needs in ease of use, support and upgrade path. The UI is user-friendly, and you can quickly sketch up diagrams for easy use on a whim. I use it for last-minute presentation boards (diagrams are always the last thing I do, so I save it for the 11th hour), and it always comes out comprehensible for the audience. It's missing a few features, when compared to Microsoft Visio, but the basic functionality that it does have works great. Compare it to Visio, and see which features really stick out to you. Because if you can get away with using ConceptDraw, I would high recommend switching over. Quick staff and projection reports that are easily digestible at policy meetings or presentations with heavy agendas. "The power of the tool"
User friendly powerful tool supported by a wide range of business graphics. Perfect tool to assist in deploying ideas and processes. No specific dislikes, its just the more time one spends using the tool the more it becomes comfortable and easy to use specially that interactive support is always available and fast. The tool is assisting me in transforming the conventional way of doing business into a more advanced and structured way. "Concept draw - Project management excellence at affordable price "
Nothing about this product disappoints. Just look at the price difference to Visio. An inexpensive alternative to Visio means i can utilise some customers files both in import and export without a problem. This help me work with multiple clients no matter what systems they run increasing my flexibility. ConceptDraw DIAGRAM works very well as a drafting software in designing simple industrial products. It is user friendly and easy to handle. Some functions of the software is not that convenient. For example, if I want to edit part of a text paragraph (not the whole paragraph), I have to right-click, go to "object" and choose "edit text", which is time-consuming when I have to edit multiple texts in the drawing. ConceptDraw DIAGRAM is handy if you want to present concepts of ideas. We use ConceptDraw DIAGRAM to prepare lighting fixture drawings for clients. The benefits of using this software is it is cost-effective and easy to use. "juiI use ConceptDraw Project to manage projects in easy, visual & valuable way"
Awesome software for gathering data with. Very useful when comparing numbers with colleagues. Nothing yet! Great software, love using it. Time management has decreased using this, things get done quickly. * We monitor all ConceptDraw DIAGRAM reviews to prevent fraudulent reviews and keep review quality high. We do not post reviews by company employees or direct competitors. Validated reviews require the user to submit a screenshot of the product containing their user ID, in order to verify a user is an actual user of the product. Hi there! 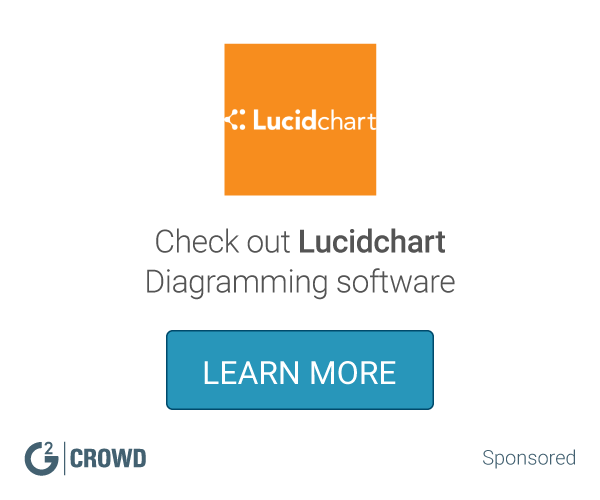 Are you looking to implement a solution like ConceptDraw DIAGRAM?